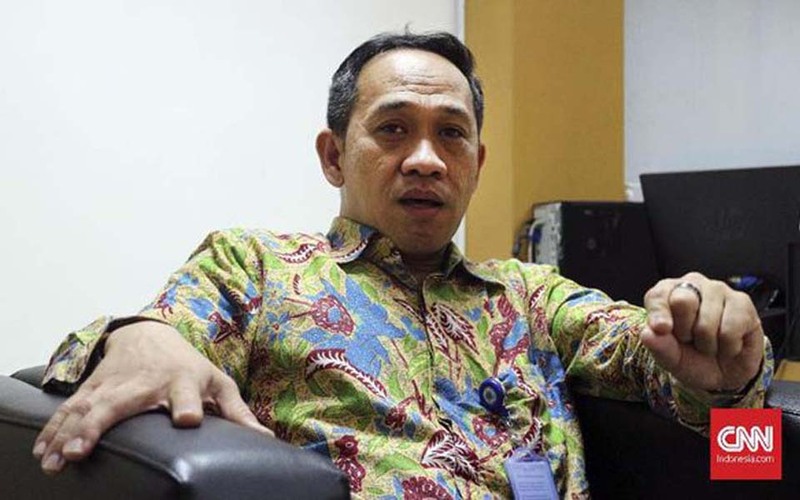 Ihsan Dalimunthe, Jakarta – Actions commemorating 49 years since the Papuan “Act of Free Choice (Pepera) in 1969 will be held at several different locations, one of which was in front of the State Palace in Central Jakarta on Thursday August 2. 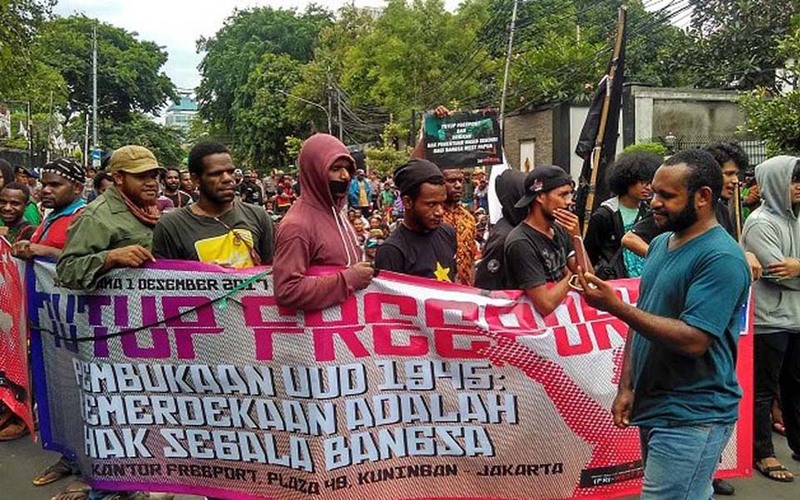 Kustin Ayuwuragil & Ramadhan Rizki, Jakarta – Commemorating 49 years since the ‘Act of Free Choice’ (Pepera), the Papuan Student Alliance (AMP) and the Indonesian People’s Front for West Papua (FRI-WP) held protest actions in 13 cities across Indonesia including Jakarta, Bandung and Ambon. 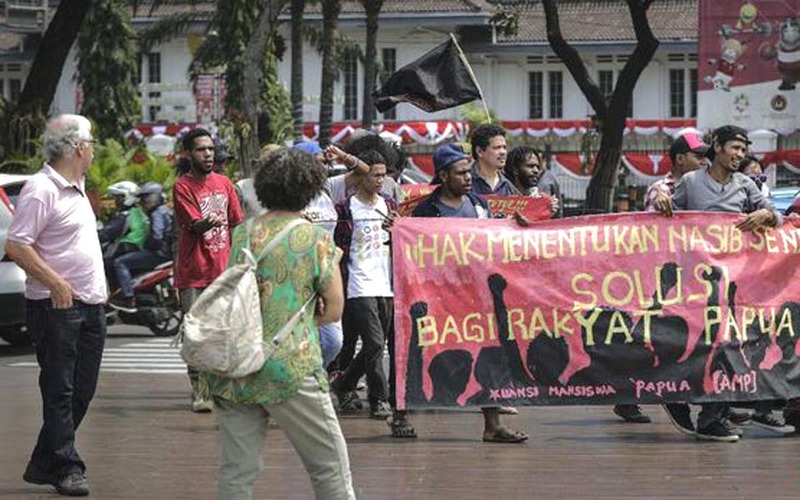 Kustin Ayuwuragil, Jakarta – A group called the NKRI Volunteers (Relawan NKRI) attempted to disrupt an action by the Papuan Student Alliance (AMP) and the Indonesian People’s Front for West Papua (FRI-WP) in front of the State Palace on Thursday August 2. 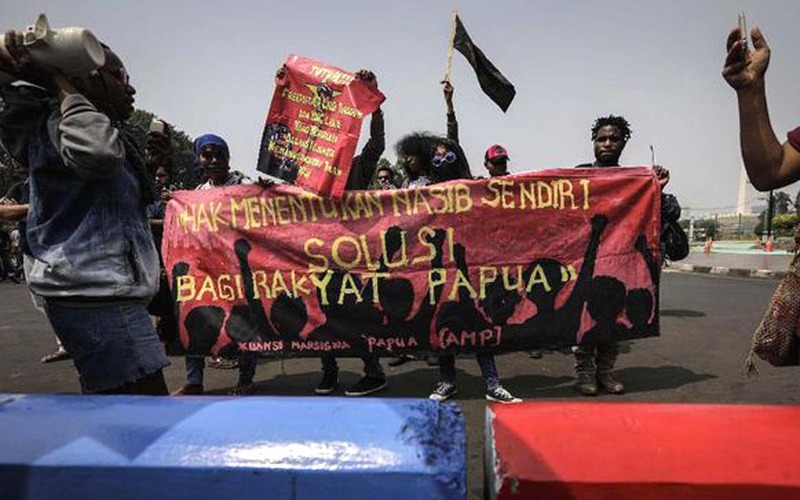 Pebriansyah Ariefana – Tambaksari police have revealed that police and military officers raided a Papuan student dormitory in the East Java provincial capital of Surabaya on July 6 because the students were allegedly planning to screen the film Bloody Biak. 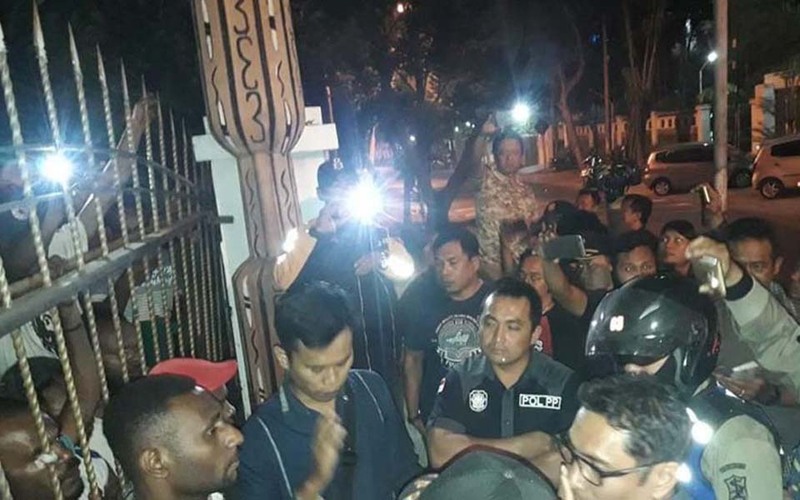 Pebriansyah Ariefana – The situation remains tense at the Papuan student dormitory on Jl. 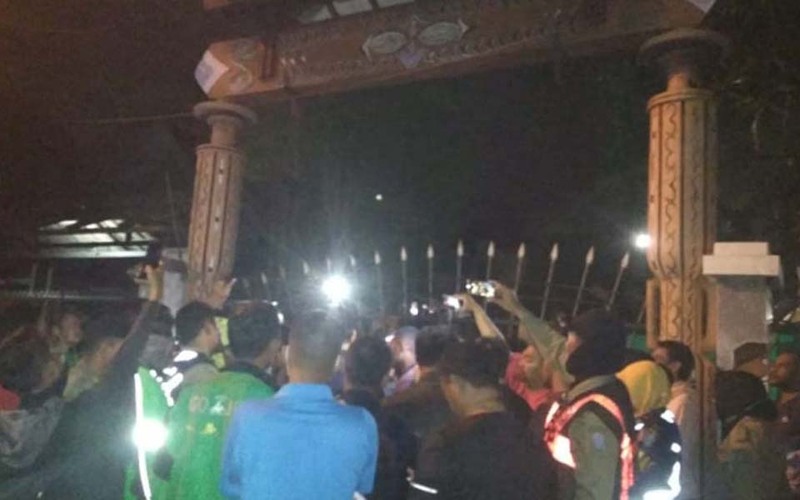 Kalasan Surabaya in the East Java provincial capital of Surabaya after it was raided by security personnel. 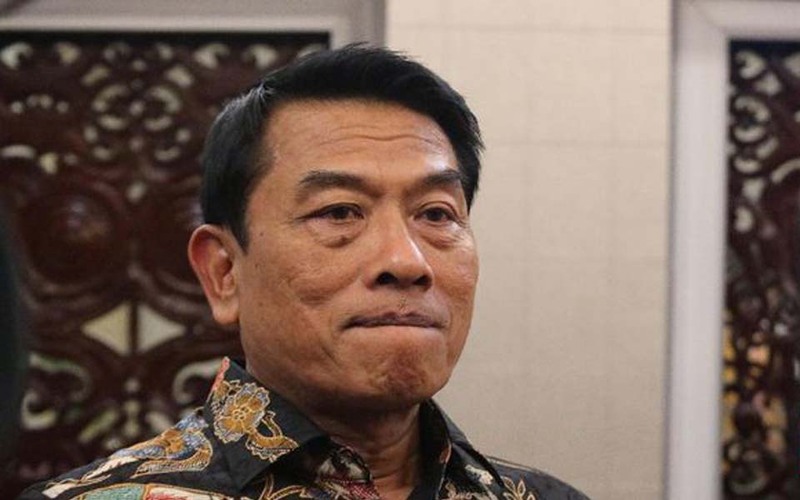 Christie Stefanie, Jakarta – Presidential Chief of Staff Moeldoko says that President Joko “Jokowi” Widodo is still serious about dealing with the problem of human rights in Papua. 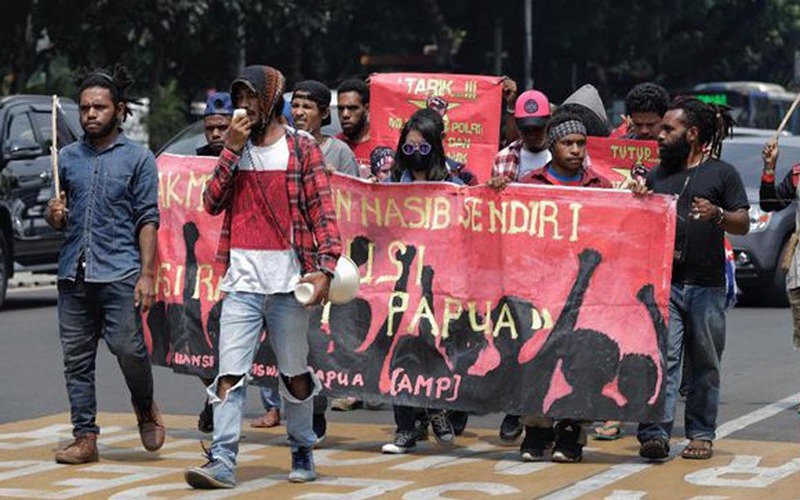 Mohammad Bernie – A group of protesters from the Papuan Student Alliance (AMP) and the Indonesian People’s Front for West Papua (FRI-WP) have demanded that West Papua be free from Indonesian colonialism. 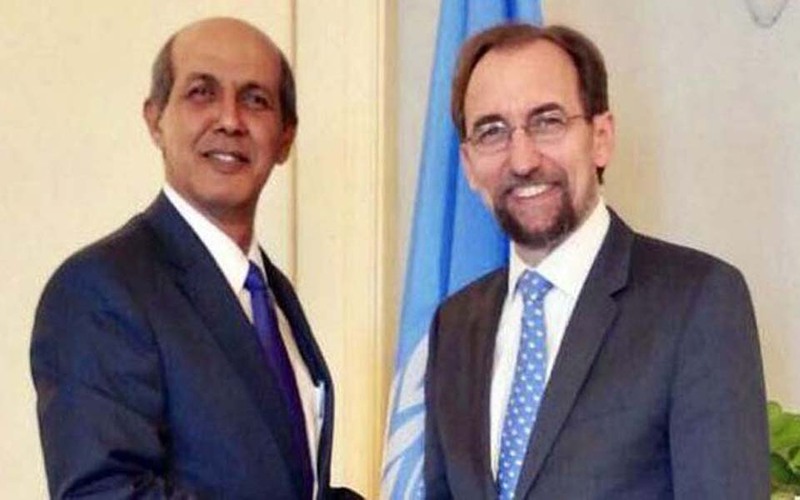 Hanna Azarya Samosir, Jakarta – The Indonesian government says that the statement by the United Nations’ High Commissioner for Human Rights, Zeid Raad Al Hussein, on the government’s invitation to visit Papua is illogical and excessive. 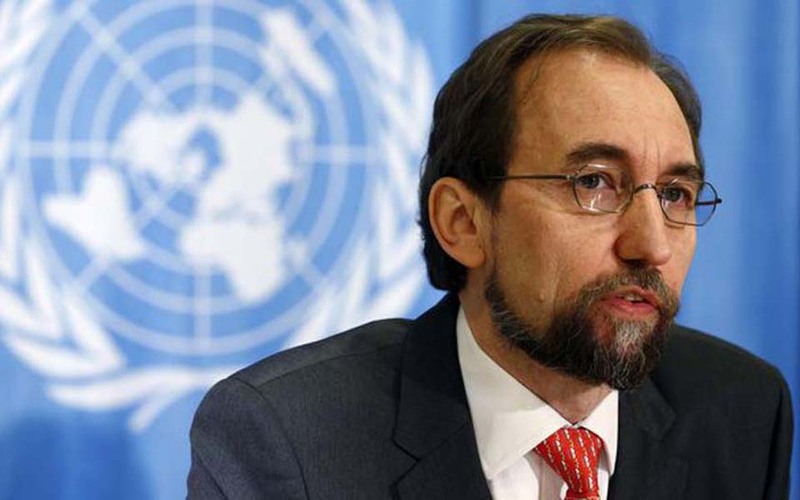 Hanna Azarya Samosir, Jakarta – The United Nations High Commissioner for Human Rights, Zeid Raad Al Hussein, has questioned the invitation from the Indonesian government to visit West Papua which has still not been realised.